Russell Westbrook with the quadruple-double? JaVale McGee with the game-winner?! More than the sick custom holiday unis, it's the slew of blockbuster games that make the NBA's Christmas Day slate must-see TV for hoops fans. 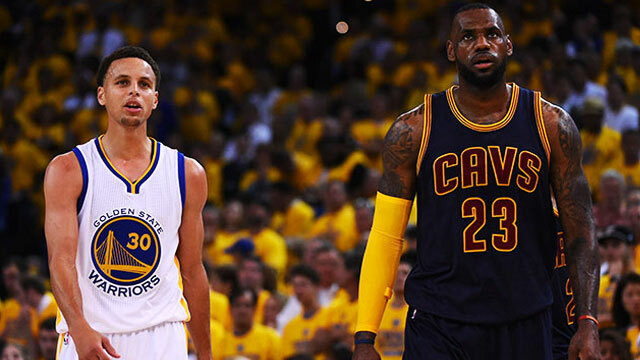 Whether its a Finals revenge match or a revival of a good ol' rivalry, such contests carry a special weight for those scheduled to play, not to mention how the league hypes every head-to-head even early in the season. This year isn't different, and unable to contain our excitement, FHM went ahead and did some wishful thinking on how these games should play out. From monster performances to last-second thrillers, we expect no less from this year's yuletide lineup. It's been a while since the Purple and Gold was the competitive team in the city of California. With the Black Mamba looking on, Luke Walton's boys take advantage of Blake Griffin's absence (knee) and bring back Showtime against the Clippers. D'Angelo Russell—to everyone's surprise—outplays Chris Paul, Nick Young ends up with a better shooting percentage than JJ Redick, and Larry Nance, Jr., well, he pulls off a Brook Lopez on DeAndre Jordan. Brad Stevens throws in Kelly Olynyk, Tyler Zeller, Amir Johnson, and even Al Horford, to no avail. The unicorn has reached his final form and is now making a strong case to be included in the upcoming All-Star Game in just his second season. Carmelo Anthony tallies 20 assists for the first—and only—time in his career, and Derrick Rose finishes the game unscathed. Meanwhile, Boston GM Danny Ainge makes the proverbial call to Sacramento. Not with turnovers, mind you. 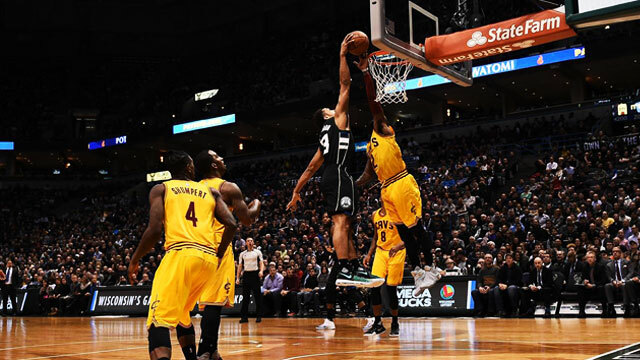 Karl Anthony Towns, Andrew Wiggins, and Zach Lavine could only do so much to keep up with a rampaging Beast-brook. During the final play, with the game tied, Russ swipes the ball for his 10th steal, takes it all the way, and wins it with a buzzer-beating, backboard-shattering dunk. Tom Thibodeau finally loses it and his voice while berating his team. Both began their careers as defensive specialists, but Jimmy and Kawhi have blossomed into their respective team's primary option on offense. This is a matchup made in heaven, and the two All-Star trade blocks and steals with each other. The game goes into God-knows-how-many overtime periods thanks to the stellar defense, until Dwayne Wade decides to put matters into his own hands and dials in from deep. The Cavaliers lead the Warriors by two points, with a single possession left in the game that was highly fought from the opening tip. Steve Kerr set up Stephen Curry to take the game-winner but for some reason, he chucks it a little too early and clangs off the rim. Good thing Draymond Green outhustles Tristan Thompson and Kevin Love and snatches the offensive rebound, just in time for one last shot. He spots a seven-footer wide open on the left wing, passes him the ball, and yells at the mysterious figure, "Shoot it, Kevin (Durant)!" The person turns out to be the Shaqtin MVP and he recognizes the situation. JaVale launches from beyond the arc; nothing but net. The only problem is that he's out of bounds.